It’s time for some gorgeous new mobiles! What baby (or happy parent) wouldn’t be thrilled to gaze on this at bedtime? Isn’t it great when you find a store where EVERYTHING is lovely? I love knowing that whatever I choose, I won’t go wrong – and that’s exactly how we feel about one of our long time favourites, Petit Collage. Let’s be frank – it can be difficult to deck out a nursery in complete style if the only mobiles you can find are of fat teddy bears in tutus. None of that problem here though, with the range of mobiles released this season from Petit Collage. 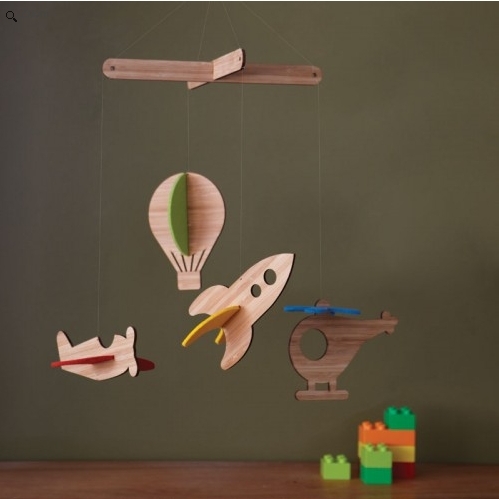 The perfect mix, you’ll find paper mobiles in both single strands and multi-dimensional options, as well as two new laser cut bamboo designs to add to their already extensive collection. They are universally cute without being cloying, and stylish without being too grown up. Head on over to Petit Collage to view the whole range and purchase online. 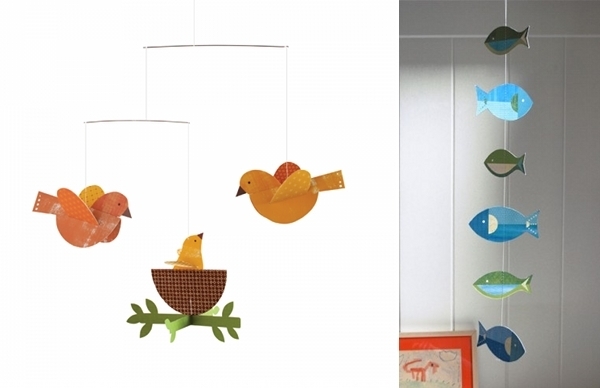 Prices begin at $15 for paper mobiles, and $56 for bamboo. All come assembled, ready to hang.